The Weather Research and Forecast community modelling system coupled with Chemistry (WRF-Chem) provides the capability to simulate and forecast weather, trace gases, and aerosols from hemispheric to urban scales. WRF-Chem is a community model. WRF-Chem is an online modelling system which includes the treatment of the aerosol direct and indirect effect. It incorporates many choices for gas phase chemistry and aerosols with degrees of complexity that are suitable for forecasting and research applications. Due to its versatility WRF-Chem is attracting a large user and developer community world-wide. The present time-unlimited Special Issue hosts scientific technical documentation and evaluation manuscripts concerned with the community version of WRF-Chem. Modelled NOx concentrations are often underestimated compared to observations, and measurement studies show that reported NOx emissions in urban areas are often too low when the contribution from traffic is largest. This modelling study quantifies the underestimation of traffic NOx emissions in the Berlin–Brandenburg and finds that they are underestimated by ca. 50 % in the core urban area. More research is needed in order to more accurately understand real-world NOx emissions from traffic. We investigate the impact of the choice of gas-phase and aerosol mechanisms, on the simulated summertime concentrations of several pollutants over the eastern Mediterranean, using the WRF-Chem model. The selection of mechanisms significantly affects ozone and fine particulate matter concentrations, and to a lesser extent other gaseous pollutants (NOx, CO). Meteorological components are also affected by the choice of mechanisms due to the interaction of aerosols with radiation. 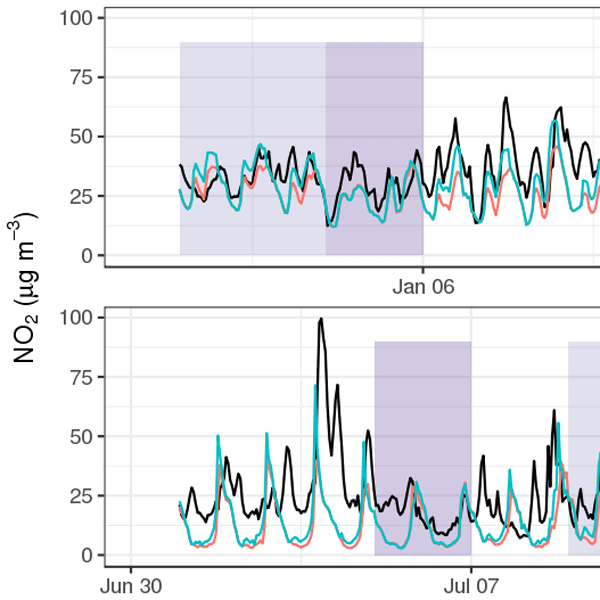 We evaluate the numerical simulations of surface ozone during pre-monsoon season against a network of stations including clean, rural and polluted urban environments in the south Asian region. Significant effects of the employed emission inventory and chemical mechanism on the simulated ozone are found during the noon hours of intense photochemistry. The presented evaluation on the diurnal timescale would have implications for assessing ozone buildup and impacts on human health and crop yields. Wind power is known as one of the cleanest energies. However, wind farms can alter surface characters and meteorological conditions and can affect pollutant distribution around there. We reported an "edge effect" of air pollutants within and around a wind farm, higher concentrations of air pollutants in the adjacent upwind and border regions of a wind farm, and lower concentrations within and in the immediate downwind region. This will provide useful information for air quality forecasting. This work describes the implementation and application of a new advanced tool, WRFDA-Chem, for top-down constraints of regional atmospheric chemical emissions. Aircraft and surface observations of black carbon are traced to anthropogenic and biomass burning sources in California during ARCTAS-CARB. The information content of the observations is quantified through variance reduction and degrees of freedom of signal, which can be used to assess observing strategies and emission inventories. The study evaluates the performance of a setup of the Weather Research and Forecasting model with chemistry and aerosols (WRF–Chem) for the Berlin–Brandenburg region of Germany. Its sensitivity to updating urban input parameters based on structural data for Berlin is tested, specifying land use classes on a sub-grid scale, downscaling the original emissions to a resolution of ca. 1 km by 1 km for Berlin based on proxy data and model resolution. The regional distributions and impacts of N2O5 and ClNO2 remain poorly understood. To address the problem, we developed a chemical transport model further and conducted the first high-resolution simulation of the distributions of the two species. Our research demonstrated the significant impacts of the two gases on the lifetime of nitrogen oxides, secondary nitrate production and ozone formation in southern China and highlighted the necessity of considering this chemistry in air quality models. Ground-level ozone is an air pollutant with adverse effects on human and ecosystem health and is also a climate forcer with a significant warming effect. This paper presents the setup and evaluation of a model for ozone air quality over Europe. 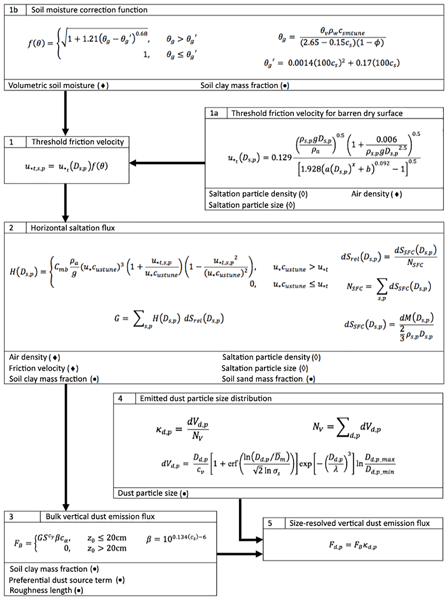 Within the model evaluation, we compare the use of two commonly used photochemical schemes, and we conclude that uncertainties in the representation of chemistry are important to consider when using air quality models for policy applications. In this study, the latest version of MEGAN is coupled within CLM4 in WRF-Chem. In this implementation, MEGAN shares a consistent vegetation map with CLM4. This improved modeling framework is used to investigate the impact of two land surface schemes on BVOCs and examine the sensitivity of BVOCs to vegetation distributions in California. This study indicates that more effort is needed to obtain the most appropriate and accurate land cover data sets for climate and air quality models. This study conducts the simulation of WRF-Chem with the quasi-global configuration for 2010–2014, and evaluates the simulation with multiple observation datasets for the first time. This study demonstrates that the WRF-Chem quasi-global simulation can be used for investigating trans-Pacific transport of aerosols and providing reasonable inflow chemical boundaries for the western USA to further understand the impact of transported pollutants on the regional air quality and climate. Large discrepancies exist among emission inventories (e.g., REAS and EDGAR) at the provincial level in China. We use WRF-Chem to evaluate the impact of the difference in existing emission inventories and find that emissions inputs significantly affect our air pollutant simulation results. Our study highlights the importance of constraining emissions at the provincial level for regional air quality modeling over East Asia. This paper introduces (i) WRF-Chem/DART – a state-of-the-art chemical transport/data assimilation system, and (ii) compact phase space retrievals (CPSRs). WRF-Chem/DART is NCAR's regional chemical weather forecasting prototype. Such systems require assimilation of chemical composition observations, such as trace gas retrievals. Retrievals are expensive to assimilate. CPSRs reduce those assimilation costs (~ 35 % for MOPITT CO) without loss in forecast skill by removing redundant information. The numerical model WRF-Chem is used to estimate the contribution of anthropogenic emissions to BC, aerosol optical depth and atmospheric heating rates over southern Africa. An evaluation of the model with observational data including long-term BC measurements shows that the basic meteorology is reproduced reasonably well but simulated near-surface BC concentrations are underestimated by up to 50%. It is found that up to 100% of the BC in highly industrialized regions is of anthropogenic origin. 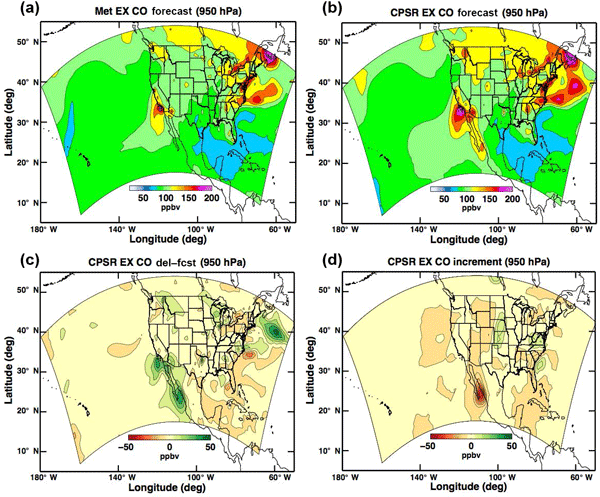 We evaluate the predictive performance of a 12-month, 12-km horizontal resolution WRF-Chem air quality model simulation for the contiguous United States. Model performance is comparable to other contemporary models used for regulatory and health-effects analysis, with 12% bias for daytime ozone and -1% bias for fine particulate matter (PM2.5). Performance for PM2.5 is worse in winter and in the western U.S. than in other seasons and regions, suggesting opportunities for future model development.